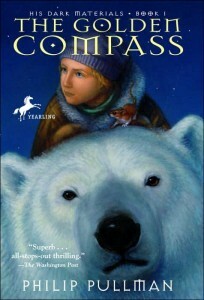 I’m late to the Philip Pullman party, but I just finished The Golden Compass on audio book and loved it. 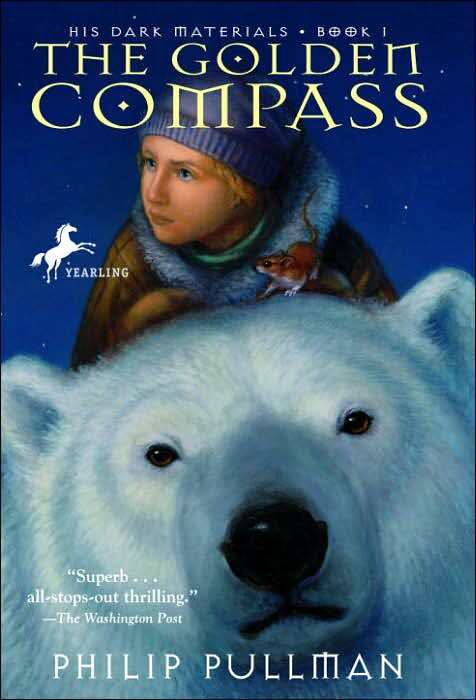 His Dark Materials trilogy has been on my To Read list for a while, but after my recent fight with Eragon I thought I’d finally read it and rekindle some love for fantasy. And it was amazing, I’m already tracking down The Subtle Knife so I can keep going. But maybe I’ll take a break and read something else so I can spread out the joy. But this is a really impressive adventure. I think Lyra has more depth and conflict than Harry Potter (which doesn’t mean I don’t still adore Harry), and she’s believable as the heroine of the story. Armored bears, witches, Gyptians, Lord Asriel and Mrs. Coulter…it was all thrilling. I should watch the movie now.